One Christmas when I was little, I must have been around eight I guess because I still believed in Santa (yeah, even though I probably knew he wasn’t real I held on for dear life and didn’t let that one go until I was at least 10) I remember being so disappointed on Christmas morning. Now don’t worry everyone you don’t have to turn away or stop reading for fear that this is about the Grinch who Stole Christmas or a seriously sad story, I am very thankful that I have actually always had wonderful Christmas’s and have always been very spoilt and do appreciate that there are many people out there who don’t have wonderful Holidays and my heart goes out to them, this is purely a first world problem kind of story… So anyway, I had been dreaming of this doll, I can’t remember the name 27 years on, but the memory is still very raw, it was a doll that you could feed a bottle of real water to and then put a nappy on and it would actually pee! Not such a novelty these days with two little boys, but my eight-year-old self thought that concept was pretty darn cool. It also had this little picture on it’s cheek that if you kissed then it changed colour. I desperately wanted this doll and I remember going to sleep on Christmas Eve so excited and dreaming of it then laying in bed in the morning at sometime around 3 or 4am so excited about this doll and wishing that everyone would wake up (my brother always slept in on Christmas…seriously Sam?!) so that I could go get my doll. Guess what?…it wasn’t there. I never said anything but I was seriously disappointed with old Santa for not getting my order right (never mind all the other beautiful presents I was given under the tree). I think the next year I may have gotten it, or perhaps it was for my birthday, but it wasn’t quite the same, children go through toy trends faster than undies so I probably wasn’t that into it anymore. I have however never let it go…perhaps I need to see someone about that. Like I said, kids’ toy phases last literally hours before they move onto the next greatest thing that’s advertised on TV or YouTube, so at the start of December I made my little three year old put it in writing what he wanted and hand it over to Santa when he visited him. That way he had entered into a written, legal and binding contract and couldn’t change his mind! So what did he choose? The Paw Patrol Launch N Roll and a Blaze Slam & Go . My three year old also choose for his one year old brother a ball (very generous). Easy. Well so I thought…except the whole of New Zealand had sold out of the Launch N Roll. Eeek! I couldn’t very well put him through I lifetime of baggage by being disappointed by Santa like my own harrowing experience. Then a godsend came in the form of Amazon…plus $79 worth of shipping. Mummy will now be getting a very small present this Christmas I think. Now this week he decided he wanted to add to the list and there is no point arguing with a three year old that they have already entered into a written contract, that just doesn’t fly. He clearly watched far too much Engineering Family on YouTube and now wants the addition of a Hatchimal . Easy. Ha! None in the whole of New Zealand, or the world, I think. So I just explained to him that you can’t get them in New Zealand only in America. His reply “that’s far far away isn’t it Mummy”. 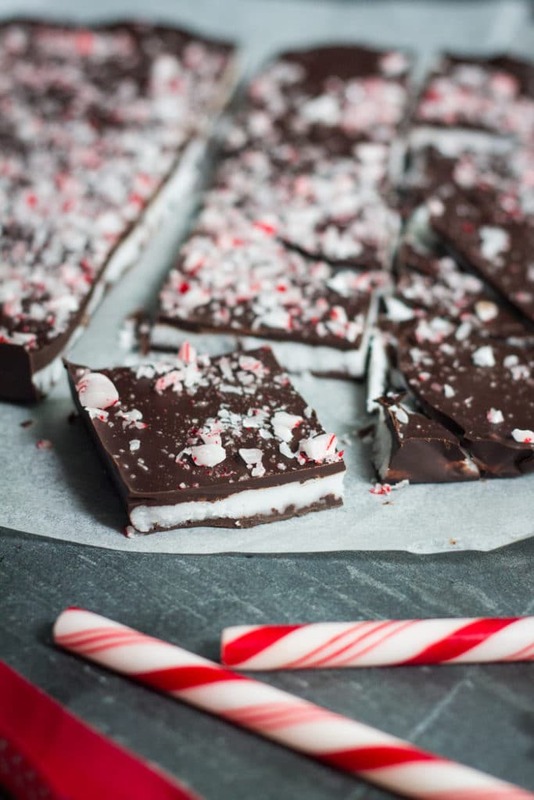 This transpired yesterday, so I’m still in a bit of denial and will deal with that one later and instead in the meantime prioritise eating lots of Peppermint After Dinner Mints….great for procrastinating. P.S. Jokes aside, I am so lucky and thankful to be able to give my boys gorgeous gifts at Christmas and a delicious meal and treats. I want to give a big thank you to the Auckland City Mission and all the other wonderful charities and people around the world who bring some sparkle and joy to those people who need a little extra this time of year. As with every month, all the profits from My Little Larder (plus a little extra because I’m not quite ready to retire off the earnings just yet!) will be gifted. This month I’ve chosen the Auckland City Mission…check it out! 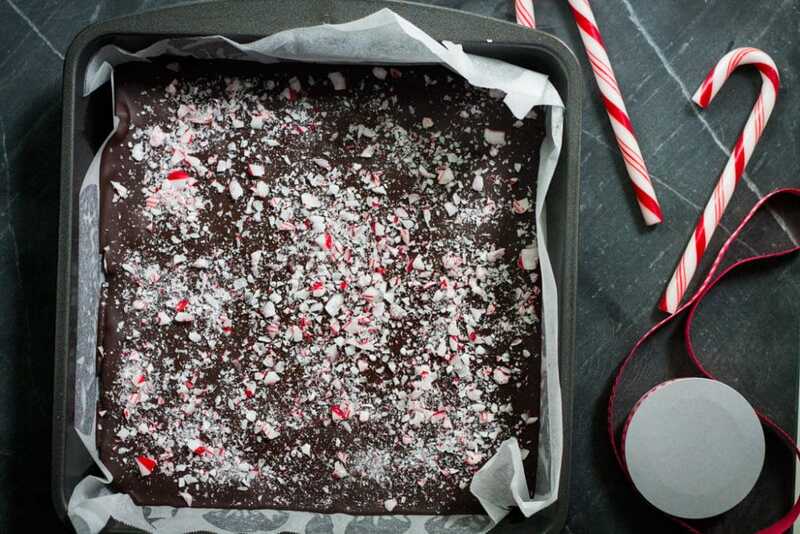 Grease and line with baking (parchment) paper a 20cm (8in) square baking tin. 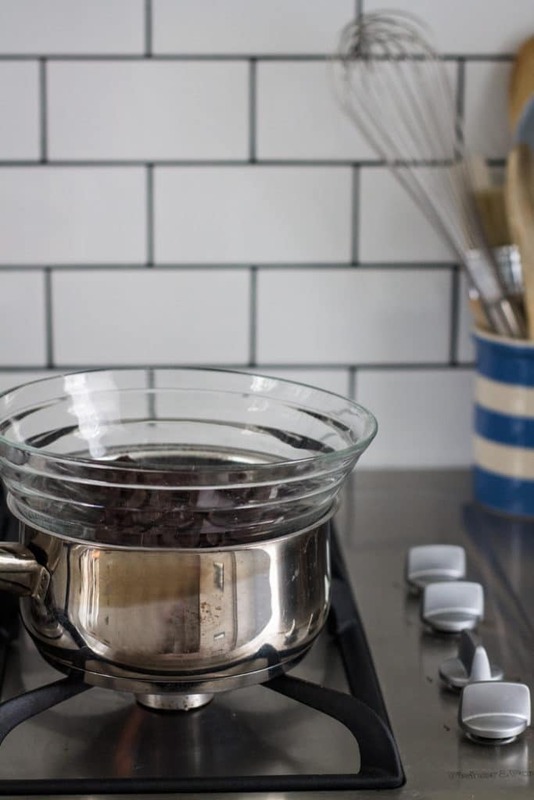 Place 160g/5.5oz (half of) the chocolate in a heatproof bowl over a saucepan of simmering water (bain marie). Stir regularly until melted. Pour melted chocolate into the tin and swirl around until the bottom of the tin is evenly coated. Place in the freezer for 4-5 minutes. 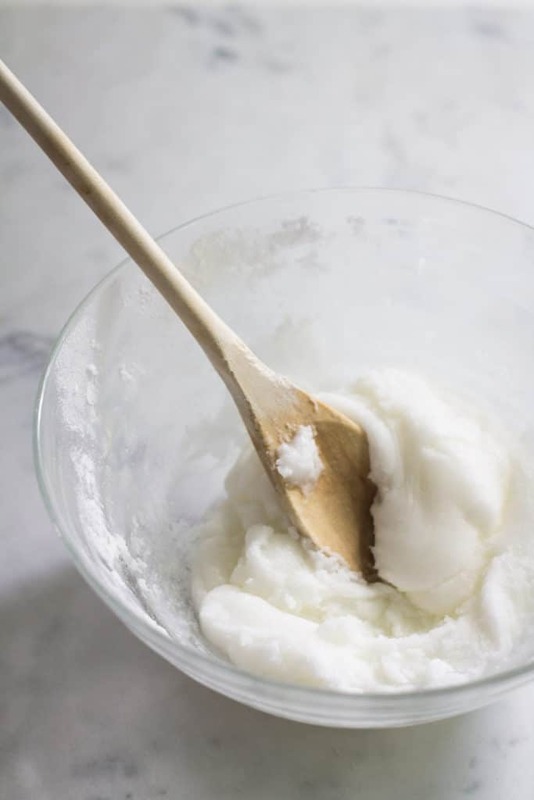 In another heat proof bowl mix together icing sugar, oil, peppermint essence and enough water to form a paste. Heat for a few minutes until the paste softens a little, enough to be able to spread over the chocolate in the tin. 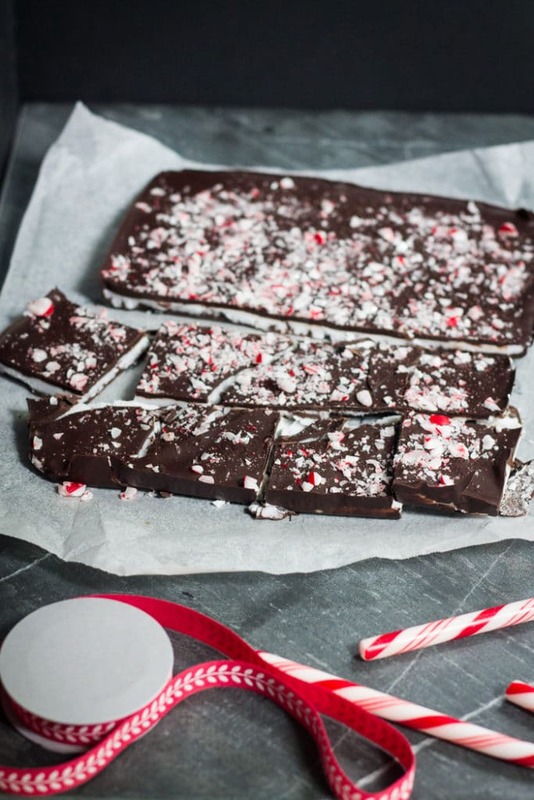 Remove from heat and, using a spatula or knife, spread the peppermint paste over the chocolate base. Place back in the freezer. Put the remaining chocolate (160g/5.5oz) of chocolate in the bowl that had the melted chocolate in it and place back over the saucepan of simmering water. Stir regularly until completely melted. 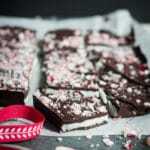 Pour over the peppermint layer, swirl around to evenly coat and then place back in the freezer for 4-5min. 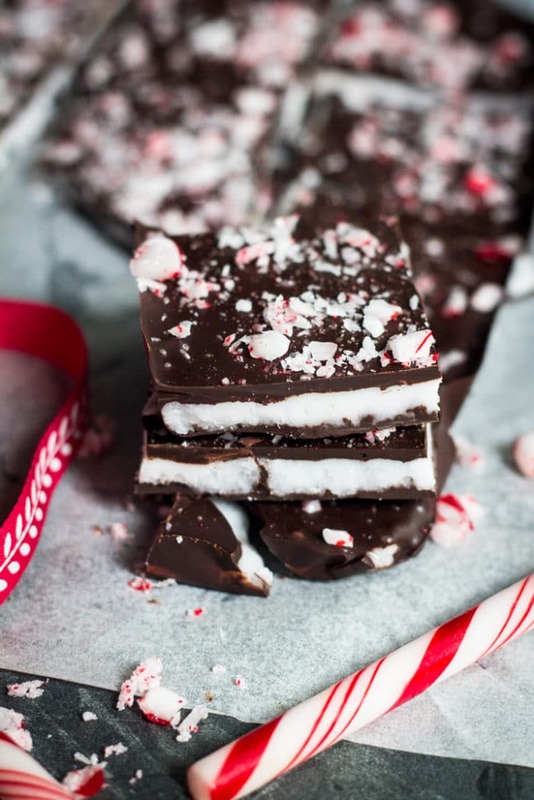 Remove after dinner mints from the freezer and sprinkle over the crushed candy canes. Place back into the freezer for 20 minutes or until set. 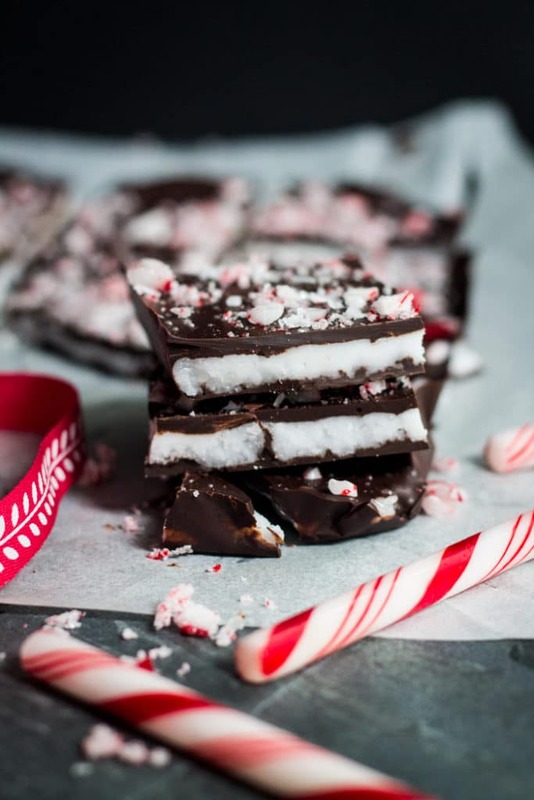 If you are happy with more rustic, irregular shaped mints then remove the mints from the freezer and cut with a sharp knife that has been dipped in boiling water then dried with a towel. 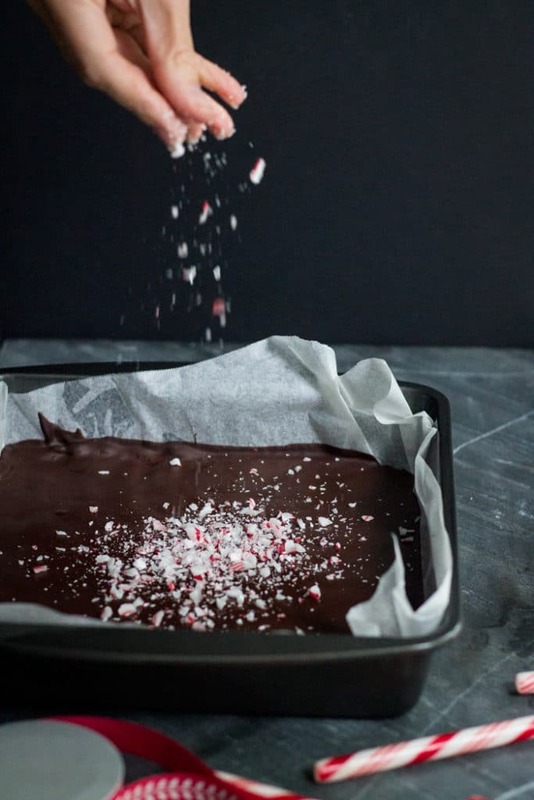 If you want perfect looking squares then remove the mints from the freezer approximately 20-30 minutes before cutting to allowing them to come to room temperature (if it's hot and the middle of summer then you may only need 10 min). 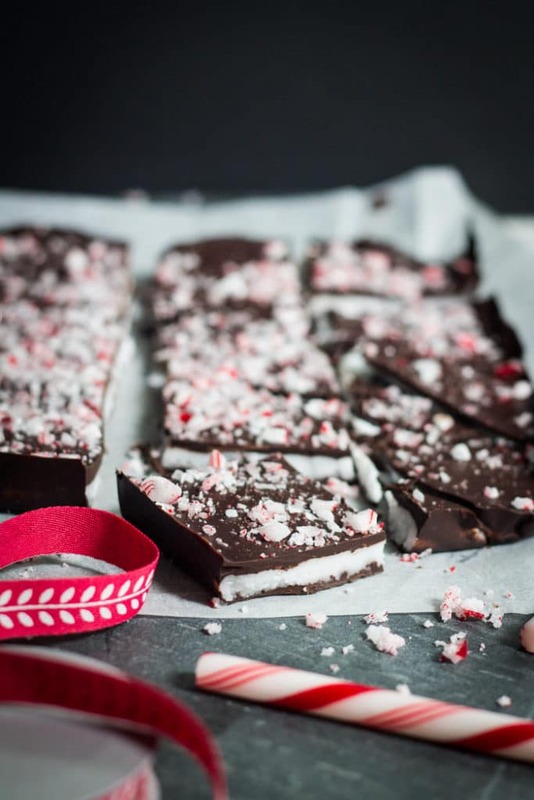 These will keep for a week at room temperature in an airtight container, but are best eaten within a few days to ensure the candy cane on top remains crunchy. To crush the candy canes, place them in a zip lock bag and seal. Place the bag on a chopping board then bash with a rolling pin until crushed. Recipe adapted from Gourmet Traveller.